This badge was issued to Nanni Bassetti on 16 Dec 2017. Earners of the Logical Operations CyberSec First Responder™ (CFR) badge are skilled cybersecurity practitioners capable of analyzing threats, designing secure computing and network environments, proactively defending networks, and responding to cybersecurity incidents. Possess at least two years of experience in computer network security technology or a related field. Pass the latest version of the Logical Operations CyberSec First Responder™ exam. 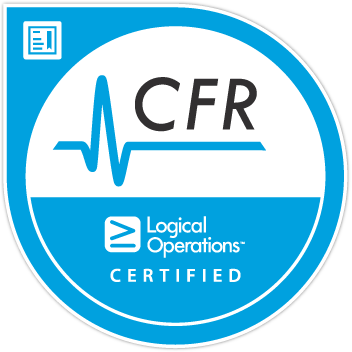 Recommended that you enroll in a CyberSec First Responder™ (CFR) instructor-led training class available through Logical Operations' global network of training partners.